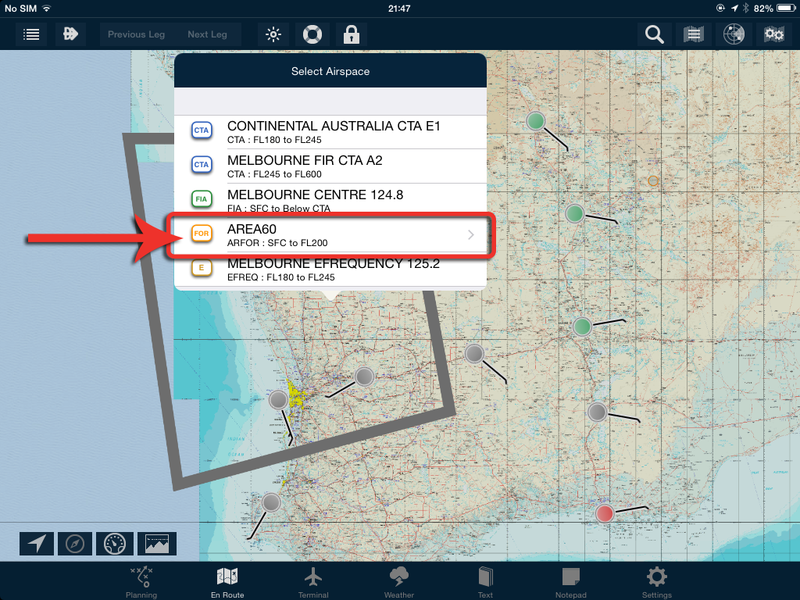 AvPlan EFB 5.3 is now available from the Apple App Store as a free update for all users. 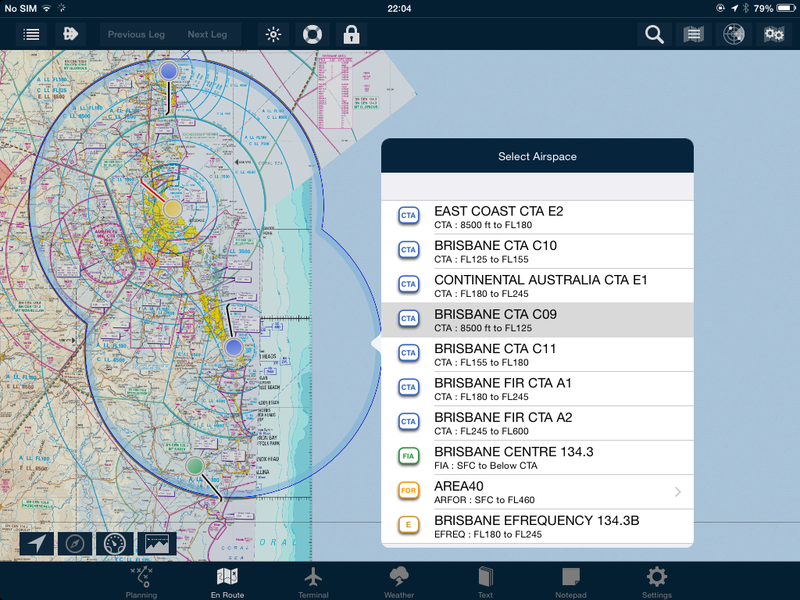 AvPlan EFB 5.3 adds support for the WiFi interface for Dynon Skyview and AFS AF-5000 non-certified avionics. 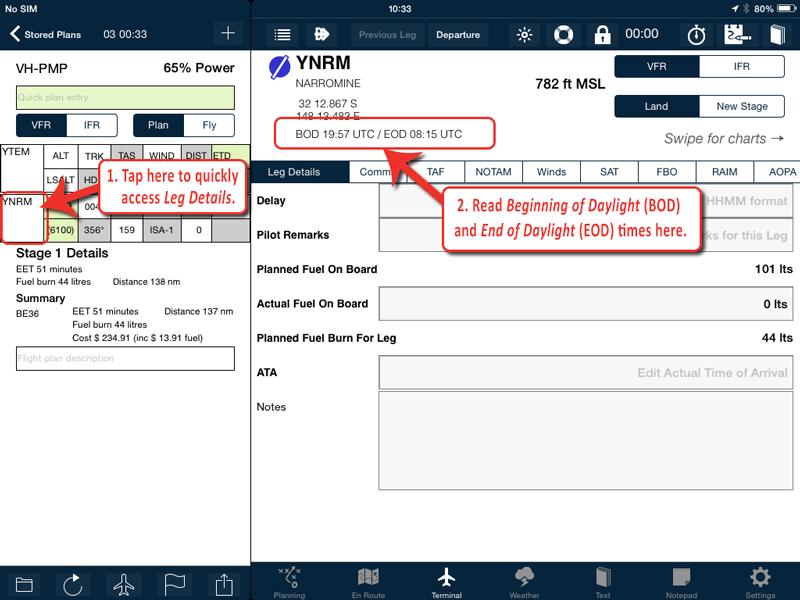 Additionally we have completely revised the flight plan/nav log printout, added a 3nm distance ring around your position and added the METAR colour code to the nearest items display. 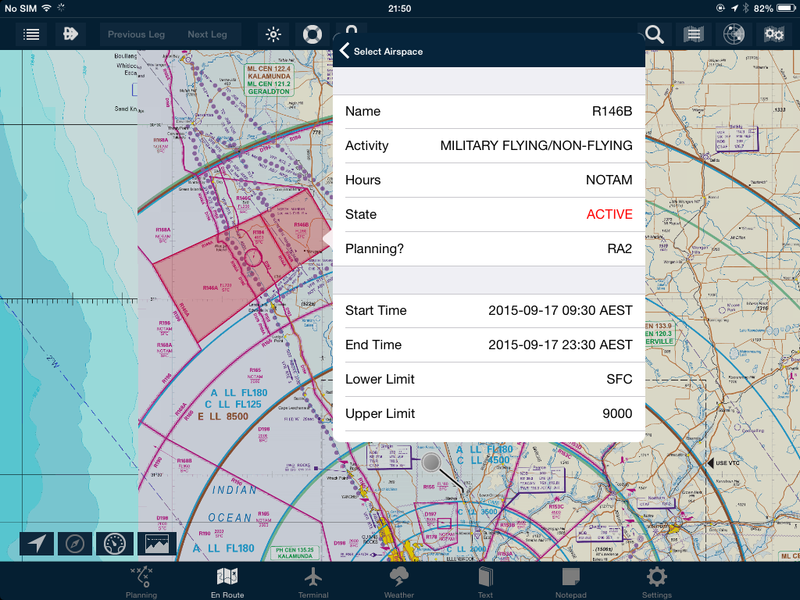 AvPlan Omni has had a major new addition – the ability to wirelessly send flight plans to Dynon Skyview and AFS AF-5000 displays. The Dynon Skyview/AFS AF-5000 interface allows you to send a flight plan to your panel seamlessly via WiFi. 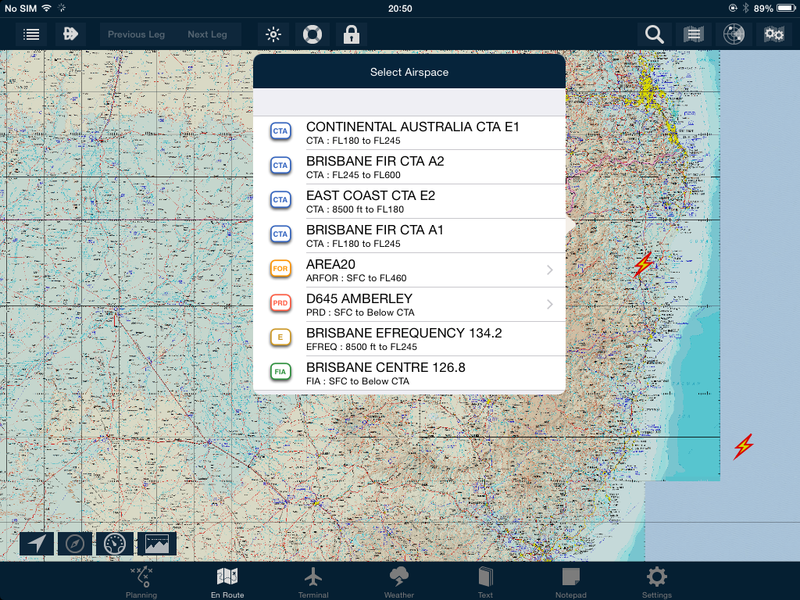 Additionally, when connected, AvPlan EFB can use the GPS position from your Dynon Skyview instead of the in-built GPS. All that is required is the WiFi interface for your Dynon/AFS unit, which retails for approximately $35 USD. Tap Settings, External Devices to enable the Skyview/AFS interface. 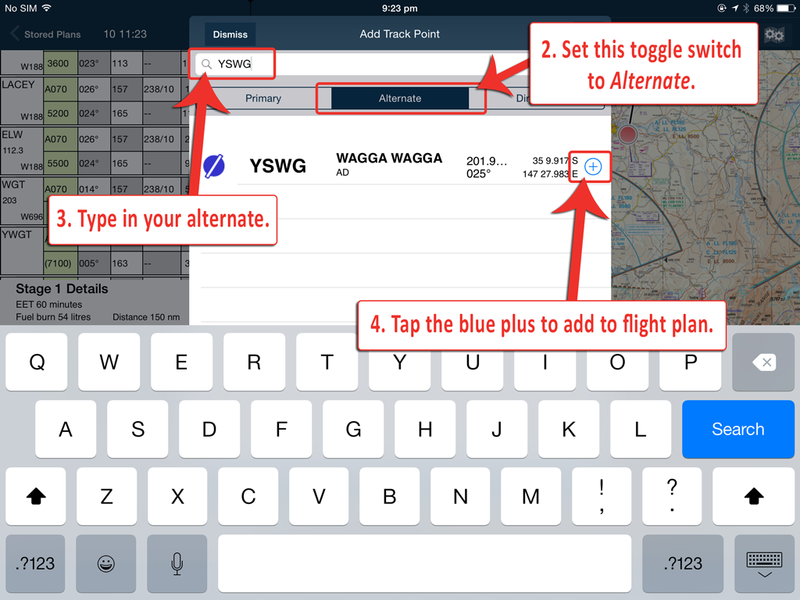 Once enabled, tap the Send button under the flight plan and ‘Send Flight Plan to Dynon’. We have added a 3NM distance ring around your aircraft. We see the primary users of this feature to be UAV operators. You can now see at a glance if you are within 3NM of an airport. Improvements to cross device data syncing. A couple of weeks ago, we looked at the Nearest Items popup. That was a single tap on the map, and shows all things to do with the ground. Now, it’s time to look at all things in the air – otherwise known as the Select Airspace popup. You can do this anywhere, and on any map. Displayed in the resultant list will include all of the known airspace (other than Class G) above that very point. 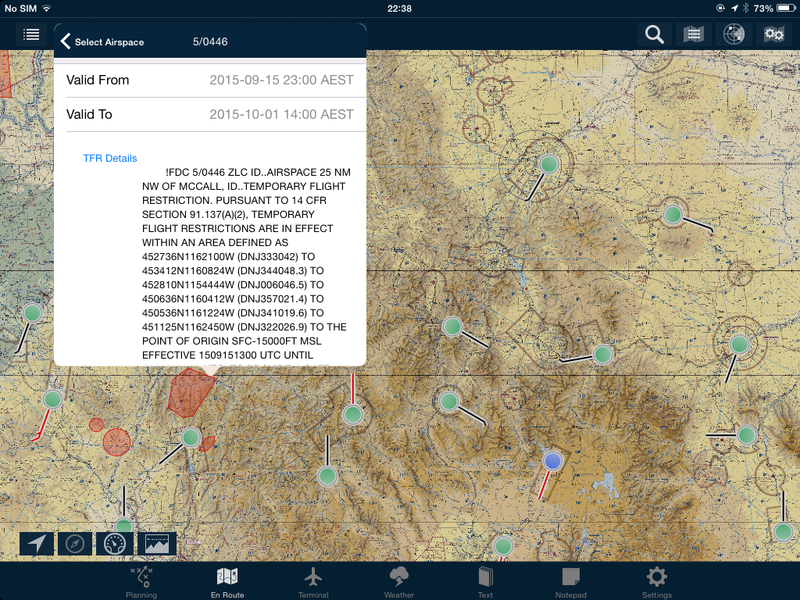 A little known ability of the Select Airspace popup in Australia is it’s a manual way to request an Area Forecast. Note that the Forecast Area entry also has a ‘>’ symbol on its right. This shows you not only the area boundaries, but the Weather pane will be opened and moments later (if you’re connected to data) the selected area forecast will appear. Finally, and probably most importantly, you can select PRD areas to find out further details about them and their status. Finally, to dismiss the Select Airspace popup, simply tap anywhere outside it. It works both during the planning phase, and in flight. Remember: single-tap for the nearest ground-based items (airports, navaids, etc), double-tap to find out about the airspace above. Today, Apple have released iOS9 for iPad, iPhone and iPod Touch. 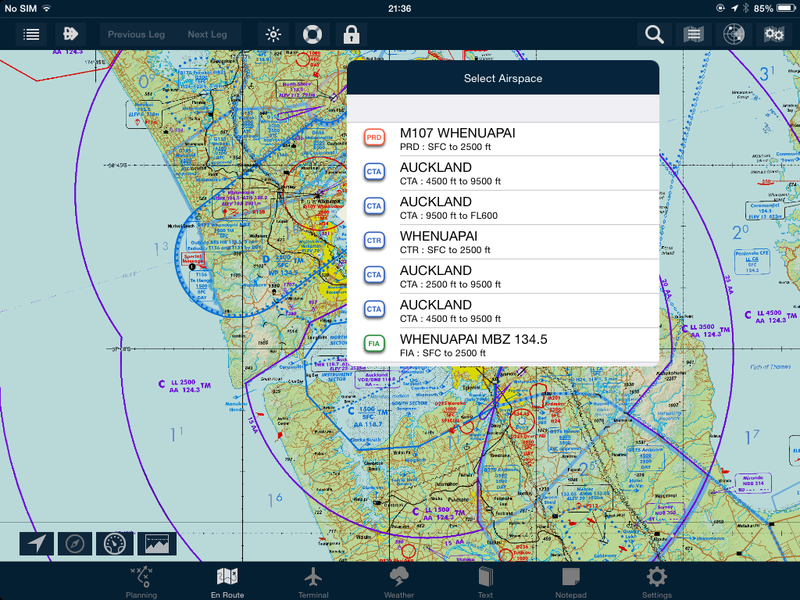 We’ve done a bunch of testing and believe AvPlan EFB is fully functional on this new release. You will see some additional performance improvements and all the weather animations are now incredibly smooth. We sill recommend caution and advise all those who update to iOS 9 only do so one one of their devices, and leave any backup devices for a number of weeks. If you are about to depart on a long trip, maybe delay updating your device until your return. 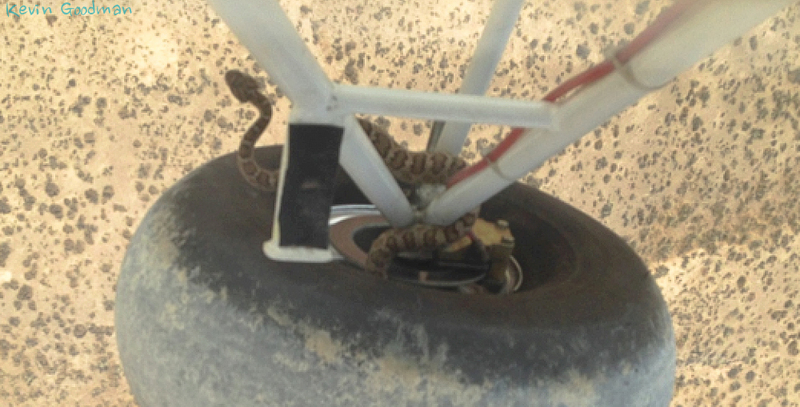 Having an appropriate alternate in your flight plan is an important part of being prepared. 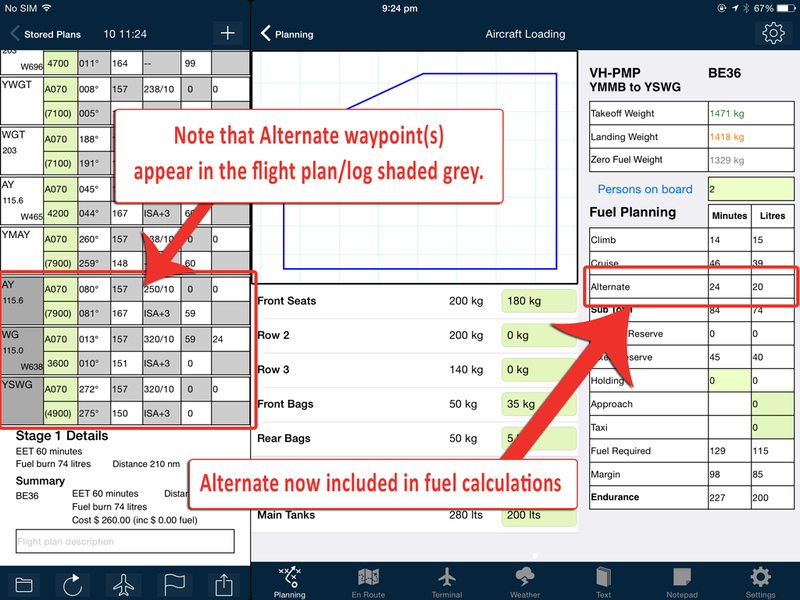 Thankfully, AvPlan EFB makes it easy to add and have the fuel calculations in place, should your plan A not work out as expected. After completing the main part of your flight plan (i.e. your departure airport, destination airport and intermediate waypoints as needed), tap the plus above the flight plan. In the ‘Add Track Point’ popup, ensure the switch is set to Alternate. You can then type in the name or airport code. From the results, tap the blue plus next to the desired airport. If you have the flight plan set to IFR, you’ll be given the option to select connecting routes (just like when planning to your primary). Your alternate will now be submitted as part of the flight plan. Each stage in a multi-stage flight plan can have an alternate. 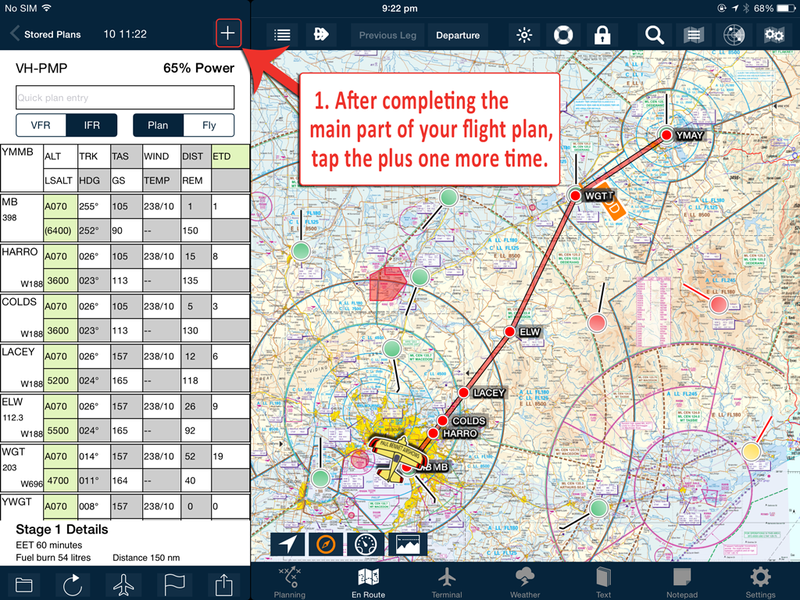 Alternates are also not limited to IFR planning – they can be added to VFR plans, too (handy for night VFR!). While in flight, having made the decision that your primary is no longer appropriate, you can activate navigation to your alternate by either tapping the Next Leg button (top-centre of En Route pane) or pressing and holding the first alternate line in the flight log then selecting Activate Leg from the Leg Settings menu. John Emerson discusses his Angel Flight experiences and his lifelong love of flying and Robyn. For a private pilot, John Emerson from Rothbury, NSW has done a pretty good job of racking up 1700 hours since he got his licence 20 years ago. 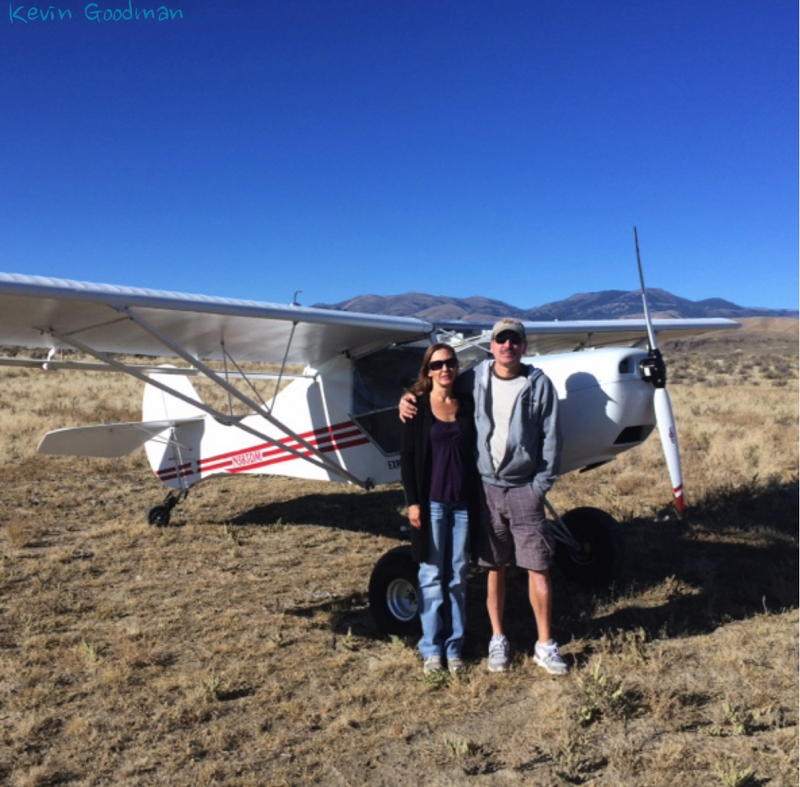 And his wife Robyn has done a great job flying 1500 of those hours as his committed copilot. 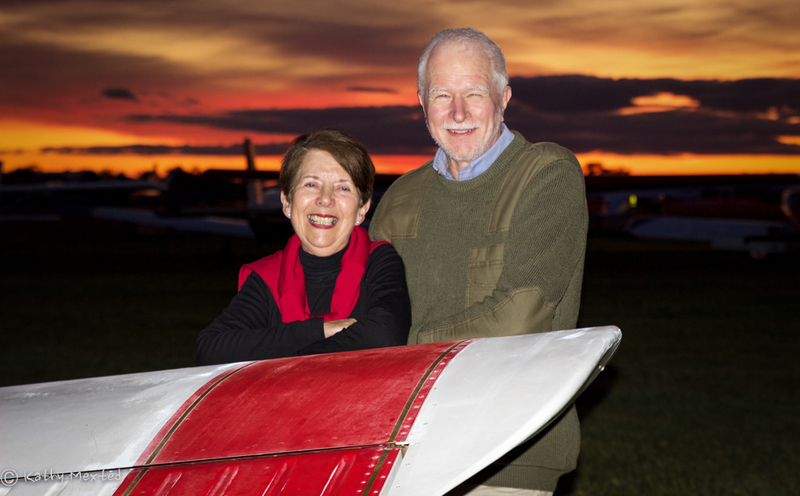 Of all those hours, the pair agree that the most memorable and fulfilling flying has been on their 87 Angel Flights. John had read about American Angel Flight and decided to investigate the Australian option. But flying for John began long before his powered training in 1995. Like many (or is it most) private pilots, it was once their daughter had left home that John turned his attention to powered flying. A couple of years on, during a trip to Adelaide, John saw the Trinidad and Tobago and used them for his IFR training. Then he bought a Trinidad! 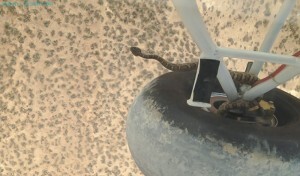 And this is what he and Robyn have flown all over Australia and that they use for the Angel flights. John and Robyn have just returned from the Kimberleys. They’ve flown around Australia a couple of times, and always they carry an ipad each. 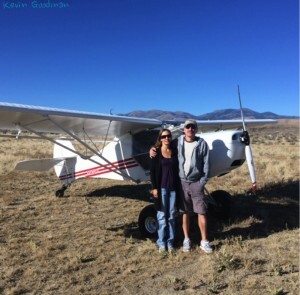 “I’ve found Avplan a great product. Initially, I was impressed by its IFR capabilities and have used it ever since. I got the ipad when it first came out and I met Bevan at airshows. I love that if there’s a glitch, I email the office and its fixed immediately. The customer service is exemplary,” says John. The Trinidad is now a paperless cockpit, though it took Robyn a while to warm to the idea. “We slowly got rid of the paper maps and charts, but I used to sneak in the ERSA. I’m now completely cured though,” she says. Quickly Accessing BOD/EOD details for your destination. There are many reasons why pilots should be aware of daylight hours – particularly Day VFR pilots. If you’re ever wondering what time is official End of Daylight, you can quickly access this by tapping the corresponding line in your flight plan. This is a little shortcut to accessing Terminal information about a place that’s in your flight plan. AvPlan EFB will open the Terminal Pane. Make sure you are looking at the ‘Weather/NOTAMS’ page within the Terminal pane – if you’ve been looking at airport diagrams/plates previously, they might be still displayed. Simply swipe from left-to-right (possibly a couple of times) to get back to the Weather/NOTAMS page. Or you could use the ‘three finger tap’ shortcut – see this earlier tip. 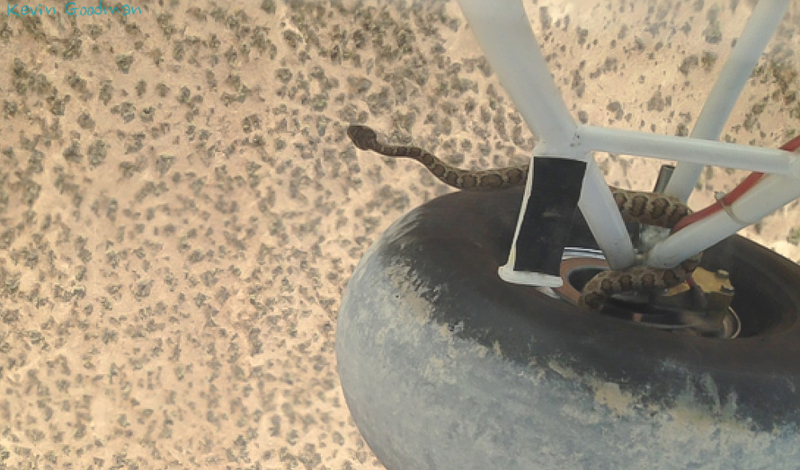 The above data is available to you regardless if you are in the air or on the ground; connected to data or not. In the air, you can compare your expected arrival time with EOD and make an early decision to divert and land early if you’re not going to make your intended destination within safe light limits. https://www.avplan-efb.com/wp/../shared/content/uploads/2015/09/IMG_0411.png 29 247 Evan https://www.avplan-efb.com/wp/../shared/content/uploads/2016/10/newlogo2.png Evan2015-09-04 06:00:262015-09-03 11:13:35Quickly Accessing BOD/EOD details for your destination.